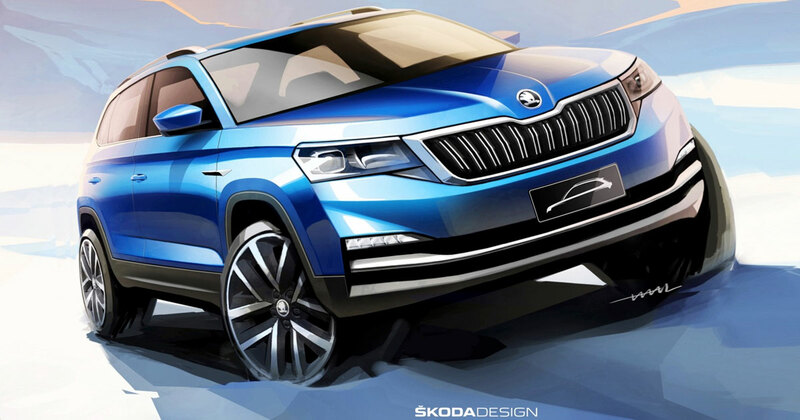 Skoda’s Specifically designed and manufactured China-specific variant, the new Kamiq SUV has been seen in teaser sketches. Although, the new model is expected to reveal at the upcoming Beijing Motor Show next week. In the Chinese market, it joins the Karoq and Kodiaq and becomes the third member from the Skoda. The Czech manufacturer has made the highest sale in China as of approx 325,000 vehicles in 2017. Skoda expects that the new model will join the Chinese market and make a more prominent existence in the Kodiaq and Karoq line-up. From the teaser images, we can judge that the new model will be identical to the Rapid sedan and it can even be mentioned as a 'Baby Kodiaq'. Concerning the design, the Kamiq SUV takes new design language, as it takes the characteristic moustache grille along with a sloping bonnet in front. It has a muscular shoulder-line and takes the wraparound LED taillights and the tailgate. The interior is also made simple and it features 8-inch touchscreen infotainment system. It has a three-spoke steering wheel along with a multi-function unit. Further, it features a twin-pod instrument console as well. The new Skoda Kamiq SUV is powered by a 1.5-litre petrol engine which is able to churn out a peak power of 110 bhp and comes mated to a 7-speed DSG gearbox taken from VW. The company may offer more gearbox choices as well but after some time. In the market, it will compete with the Hyundai Creta, so expect to price competitively in Rs. 10 lakh-Rs. 14 lakh range. About the Skoda Kamiq SUV launch in India, there is no information yet from the officials. But, we couldn't predict in advance as first let it debut in the Chinese market for now. After the successful response from the buyers, the company can think to expand the market range for the new Skoda SUV.